What if I do not have make-up remover on hand? 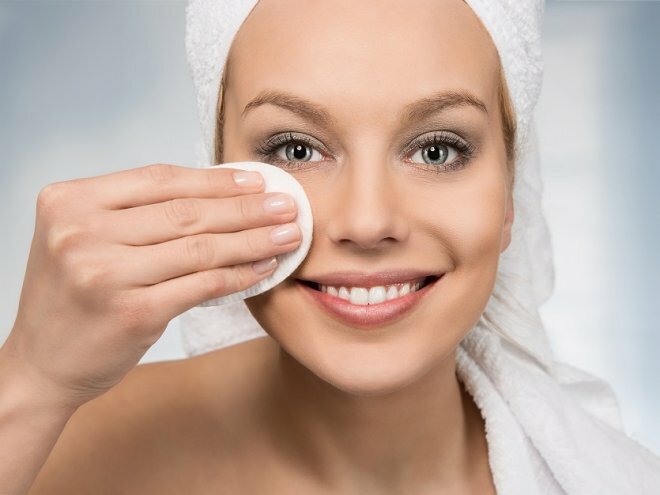 It often happens that in the evening, doing body care procedures, you notice that the makeup remover is over. It's too late to run to the store, and cosmetics just need to be removed from the face. Do not get upset, because in the kitchen there are products that can easily cope with this task. It's about natural remedies, which can be easily washed off the makeup. To fans of natural caring cosmetics the following methods will be especially suited to taste. Moreover, many have allergic reactions to industrial products, or the skin condition is deteriorating. The products that we offer as an alternative are absolutely harmless, but when using them, consider the individual sensitivity to these or other ingredients. Fermented milk products, and in particular kefir, easily cope with the removal of makeup. Moreover, everyone knows the useful properties of these products, which have a beneficial effect not only on digestion, but also on the skin of the face. For example, lactic acid with washing helps to exfoliate keratinized particles. This method is very easy to use, you just need to apply the product to the cotton pad and then wipe their face. And diluted with water kefir calmly remove makeup from the eyes. Another common method of removing makeup – this is vegetable oil. Each housewife in the kitchen has a bottle of sunflower or olive oil. It is enough to put a few drops on the wadded disk, so that you can remove the make-up without problems. For permanent use, experts advise buying a special cosmetic oil. Such a product splits skin sebum and cosmetics perfectly, and one should not be afraid that it will clog pores. Perhaps, the most delicious product that will help remove cosmetics, will banana. Grind the fruit to the state of gruel and add water. With this mixture, just wash your face. Also, puree from this fruit can be used as a nourishing mask. After washing, apply another layer of banana mixture and leave the minutes on 20. The next method is suitable for girls without allergy to honey. This product of beekeeping has long been used as a caring agent. Simply wet the cotton pad, add a little honey and wipe the face. If you use this method of washing every evening, then after a while you will notice how your skin will change. The peeling will disappear, the pores will decrease, and the tone of the face will become smoother.